Orland Park Will Lawyer | Johnson & Johnson, Ltd. Skilled Orland Park will lawyer. A last will and testament is the easiest way to provide for your loved ones and family members after your death. Yet many people do not have a will. Some people may not want to think about their death or may feel they don’t have enough property to worry about. Everyone will eventually pass away and if you die without a will you will leave your beneficiaries in a difficult position. The best way to take care of this is with help from an Orland Park will lawyer. The experienced team at Johnson & Johnson, Ltd. is available to assist in drafting a legal last will and testament. It is important to have a will that is properly written in order to make sure that your wishes are taken into account. An Orland Park will lawyer understands the laws and will review your needs to ensure that your will is correctly drafted. While a basic will may seem straightforward, there are many laws that may come into play. These laws must be reviewed when drafting the last will and testament. Your will should provide clear and precise instructions for the dispersal of your estate. Everyone has an estate, which consists of all of your personal assets and property. A will is especially essential for older individuals, however, all adults should have a will in place. A living will, also known as an advance directive, is often used in conjunction with a last will and testament. The living will provides for health care and decisions should you become unable to do so. The living will allows you to state your wishes in case of medical need. For example, a common directive in a living will is a do not resuscitate order should your health fall under specific circumstances. A living will communicates your exact wishes to loved ones in the event of a medical situation. A knowledgeable Orland Park will lawyer can assist in creating a living will that specifies your desires. When a will has been put into place, it is typically effective under the law. However, there are some circumstances where a will may be problematic. A will must be properly written and executed, usually in the presence of witnesses and a notary. Situations may arise where a will has not been properly executed, has questionable contents, or is poorly written. In these cases, heirs may need help from a reputable Orland Park will lawyer to represent their interests. A will often accommodates situations that may occur in the future, however, often they do not. As your life changes, you will need to make changes to your will. You may have acquired more property and assets and your family status may have changed. You may have more people to include in your will. For example, your will may have originally been written when your children were young. Now, your children are adults and you have grandchildren that you wish to include in your will. These changes can be accommodated only through legal means with the help of an Orland Park will lawyer. 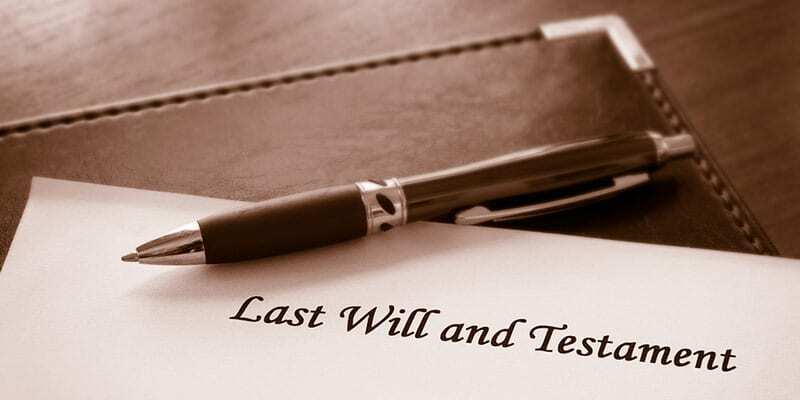 Whether you want to establish a new will, make changes to your current will, or resolve issues with the last will and testament of another, you will need professional guidance from an Orland Park will lawyer. The compassionate lawyers at Johnson & Johnson, Ltd. are here to help ensure that your estate is properly dispersed, whether through the use of a trust agreement, the probate process, or a last will and testament. Contact us today to schedule a consultation to discuss your options with one of our attorneys.